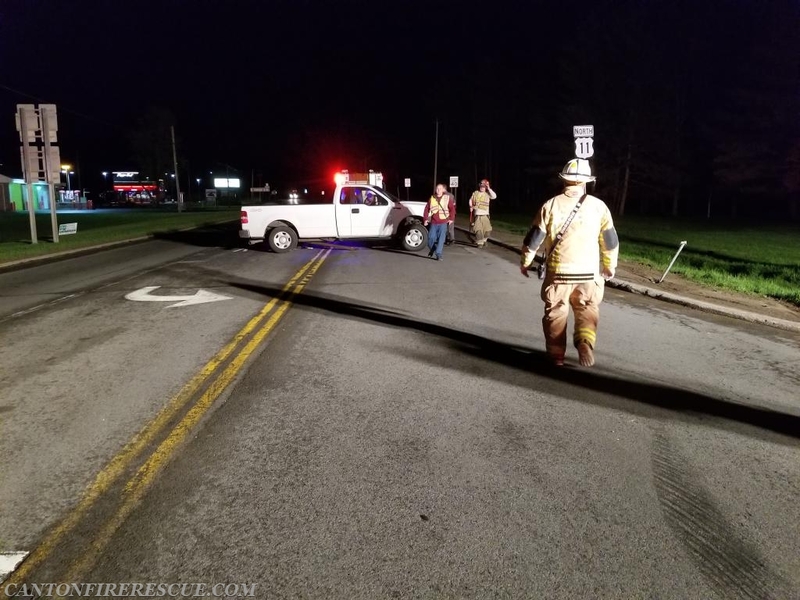 Canton Fire & Rescue was alerted to a two vehicle MVA at the intersection of State Highways 68, 310 and USH 11. Intial reports were that there were injured parties at the scene. Crews were out already at an alarm activation at 15 Commerce Lane so Rescue 1 was enroute immediately to the accident scene, with Engine 6 and Ambulances 131 and 133 enroute shortly afterwards. 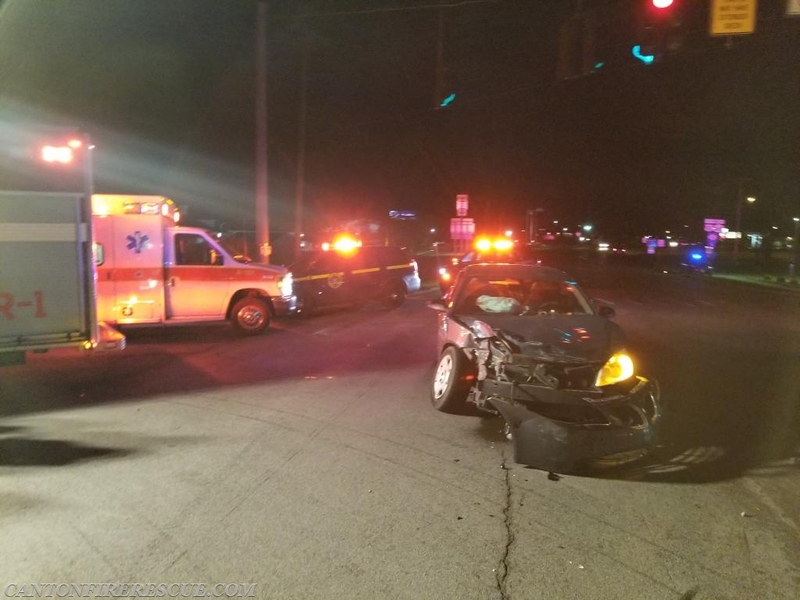 Upon arrival , department personnel found a pick up truck and a car had collided in the intersection with significant damage to both vehicles. Both operators were alert. 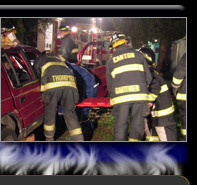 The operator of the car was trasported to Canton Potsdam Hospital. 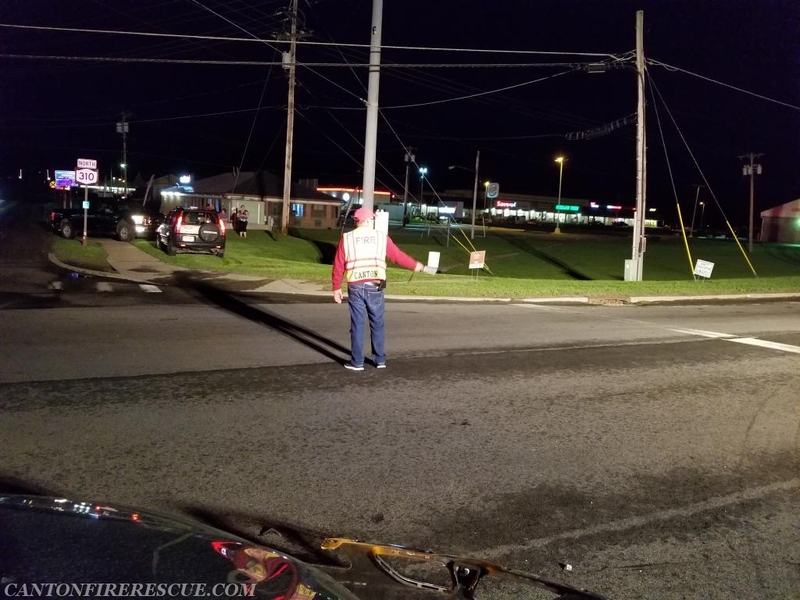 Members controlled traffic to one lane alternating traffic and assisted in debris removal to get the roadway open as soon as possible. Both vehicles were towed from the scene by Johnson Towing and Recovery.